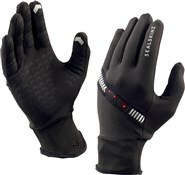 SealSkinz All Weather long finger gloves are great for riders who need versatile protection from the elements. 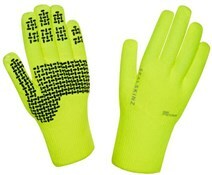 These gloves are lightweight and durable with a great fit. It is very waterproof for those heavy downpours on your commute to work, yet the fabric is also breathable and windproof to keep you comfortable in a range of conditions. 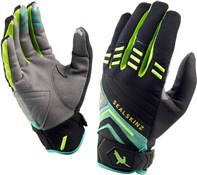 Useful pressure point padding on the palm of the SealSkinz gloves improve comfort whilst riding, and the silicon print on the fingers also help to add grip with the handlebar is wet. Im impressed. Haven't used them in a torrential downpour but keeps out blistering gusty winds. 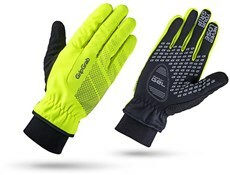 This brand known to me and These gloves were ideal for cycling in being light comfortable and well designed.The price post free was a bonus. Good quality but average performance. Not a bad glove really but in hindsight I don't really need them to be waterproof. 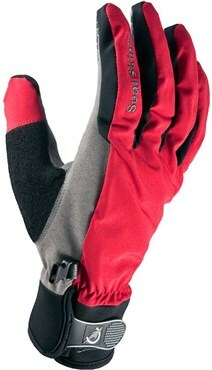 They've kept my hands warm in some fairly cold weather but despite claims of breathability I found them quite sweaty around the wrist area making them difficult to remove and put back on mid ride. I have to dry them out when I get home so a little disappointed, but they're good for the money. 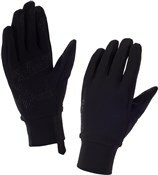 They take a while to get used to but they do their main job very well keeping your hands dry. Very warm too i've been wearing mine to walk to work as well in the snow! 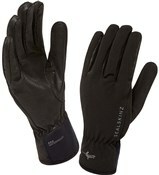 Every other glove i have is large and find a large in these fit well too. Good build quality but not entirely Waterproof. Warm enough for sub zero temperature but I find them a little bulky. Well worth the money. Bought these for the coming cold winter in Finland and so far they've endured the worst.